Insulation in your home , why is it important? Insulation is a key part of our homes construction. With everyday fuel prices at a high it is essential that we insulate our properties as efficiently as possible. 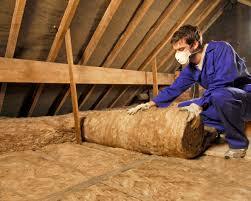 Apart from the energy bill savings made from insulating your home correctly it is very important for health reasons. As reported by the Telegraph, Official figures revealed so-called “excess winter deaths” rose 29 per cent in 2012-2013. This was their highest level for four years. Although the government since has taken steps to make insulation available to poorer homes and the elderly, this still continues to be an issue. Another reason to insulate well is to try and help combat climate change. Every unit of energy we save helps us move further away from using climate damaging fossil fuels. We need to move closer to relying on renewable energy such as wind or solar farms. Its estimated that a properly insulated home can save up to 25% on household energy bills over a year. Having a property over 15 years old and has not been renovated, then it is very likely that the insulation you have in your loft will be of poor quality. This will be ineffective and need removing and replacing. Also it will be nowhere near current required building regulations which at the time of writing require 270 – 300 mm of fibreglass loft roll insulation. This loft insulation should be a layer laid between the rafters and then another layer cross laid above that to make the total thickness. Another way of insulating your loft can be with rigid PIR insulation boards such as Celotex or Kingspan to name a few. These rigid insulation boards are generally cut to fit in between rafters. Then a final layer placed over the rafters to eliminate cold bridging through the roof timbers. Apart from the loft, older properties can also gain by retro fitting insulation to the inside or outside of externals walls. The inside can be done quickly and efficiently by installing insulated plasterboard. You can insulate the exterior with specialist phenolic foam insulation boards and a render system. Although many of these insulation projects can be carried out by the householder with minimal DIY skills and tools required. It is vitally important to remember to wear the relevant safety gloves , goggles and mask as many of these insulation materials give off fibre and dust that can cause irritation. Other jobs can require specialist installers which can be found locally. New build housing regulations now stipulate that a high level of insulation is installed. Also required in new build projects is complete air tightness. Making a home completely air tight does come with its own problems. If you stop a building from breathing it can create damp problems. Installing bathroom extractor fans and trickle vents in windows can deal with damp issues. The problem then with these is that your are then losing expensive heat from the property. This has started an increase in many homes installing Mechanical heat recovery systems. These systems remove the need to install trickle vents in windows and bathroom extractor fans. They work by taking the heat from predominately hot rooms such as your kitchen and bathrooms. The system then removes the heat from the stale air and vents the stale air through an exhaust in either the wall or roof. It then places the heat back into fresh air drawn in from outside. Then places this fresh warmed air into other rooms in the house so as to balance the entire properties temperature. MVHR systems ensure healthy fresh air is circulated around the house. For all Insulation materials and MVHR system enquiries please do call our National sales office on 01793 791010.